I was nearly done writing this post, hit the wrong button and the entire thing disappeared. What? So I will try to recreate this plethora of unrelated things, which is really the definition of randomness anyway. Monday night, Mark's good friend, Randy, reffed the last basketball game of his long reffing career. Mark had the privilege of being part of the crew as well. Afterwards, along with other family and friends, we had dinner together. And the next morning, Randy had knee replacement surgery. Yikes. Ella likes getting cozy with quilts. This is her new favorite. It is a pattern by Kerry Goulder of Kid Giddy, and has all the things a little girl loves--unicorn, castle, mermaid. Other than QuiltCon, I have not submitted quilts to any shows in about 15 years. This year, I decided I'd submit these four quilts to Best of the Valley, a really great quilt show held in April. As I looked at this collage, it crossed my mind that I don't have a definable "style," in other words, no one looks at one of my quilts and says "I knew that was your quilt before I even read the name." Which caused me to further wonder: is having a style even important? I know that what appeals to me has changed a lot over the last ten years. What I work on changes depending on my mood. Which probably explains why I have so many projects going on at the same time. Apparently, I'm quite moody! I do want to document a couple of things just so I remember them. 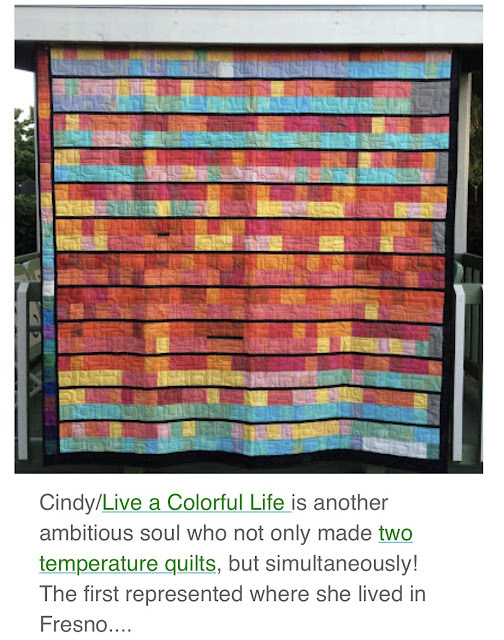 Last year, Angie from Gnome Angel held another #100blocks100days quilt-along, based on Tula Pink's book, City Sampler: 100 Modern Blocks. She posted several pictures as inspiration for anyone interested in the quilt-along, and mine was included. This has been an interesting quilt. In late November, shortly after decorating the house for Christmas, it was hanging in the dining room. Every year, I hang some ornaments from the light fixture over the dining table. I was walking out the door to run an errand and thought, "The dining room looks really pretty this morning." I snapped a quick picture, didn't do any editing, didn't think about hashtags, and posted it to Instagram. I received about 1,100 likes--something that has never happened to any picture. Then I noticed an uptick in activity regarding that quilt on December 21. I remember, because it was Ella's birthday. I quickly found out that Make Modern Magazine (my favorite digital quilting magazine, by the way) had reposted my picture, and it was getting LOTS of attention. Ultimately, the last time I checked, it had over 6,000 likes! That's just crazy. In Issue 25, Make Modern Magazine posted a gallery of quilts using text. They were all so different, and all so interesting. The Prayer was included as well. 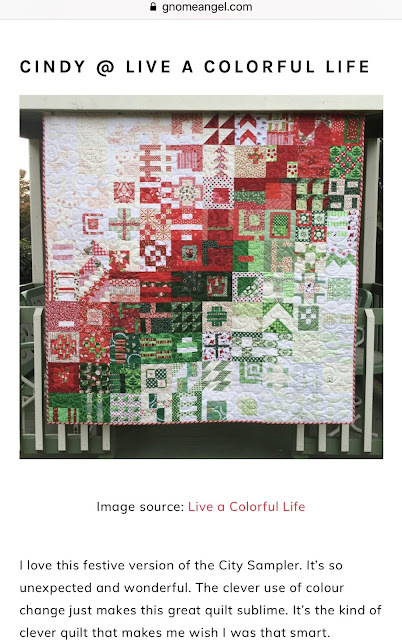 And one of my very favorite newsletters, The Scrap Basket, written by Debbie Jeske of A Quilter's Table, included Tale of Two Cities in Issue 76 when she had a round-up of temperature quilts. The link to all issues of the Scrap Basket is at the top of her blog home page--check it out! I'm planning another one in 2020 for our niece who will be graduating with a degree in environmental science. She comes from southeast Idaho, and goes to school in Oregon, so I think the comparison of those two places will be interesting. Last fall, I deconstructed a very old quilt top. I went wild with the rotary cutter and cut the components needed for a double wedding ring quilt. I tried a couple of different versions. I didn't like any of them, became discouraged, and put everything away in a drawer. With the goal of completing some old WIPs, I pulled all the pieces out again last week. Again, I just couldn't get a good feeling about anything. So I enlisted the aid of another artist, Gabe, for a different perspective. Wow, I wish I could get inside his head sometimes. This was the start of his first version. I asked his opinion on piecing some arc units to look like stripes. He said if I did that, I also needed to add dots and flowers. "Grandma, you just have to let your imagination run wild." And I realize that is often the stumbling block for me, so it is good advice. Collaboratively, we ended up firing the pink. We are contemplating trying some shade of gold. Yesterday, this was what he came up with, only purple and lavender. Haha. I told him that the deconstructed pieces HAD to be a part of the quilt--that was the original purpose after all. I'll keep you posted. Gabe picked up a camellia the other day, and decided to draw it. I supply the paper and colored pencils--he supplies the imagination. This was the start. He wasn't happy with it. I ran the picture through the Waterlogue app on my phone anyway, just because it's such a cool app, and gives things a watercolor effect. Yesterday, he started over. This is not complete--still a work in progress, and by now the flower looks awful. But seriously?? He is 7. After my lumpectomy in December, things have kind of been status quo. There is a lot of time spent in limbo. I had a phone consultation with my oncologist on December 31, at which point we discussed having a test run called onco-dx. When tumors are under 1 cm in size, the test is not normally run. If the tumor is over 1 cm, it is more routinely run. When a tumor is 1 cm, it is up to the patient. Sigh. My tumor was 1 cm, so the decision was up to me. After the pros and cons, and learning more about the test, we decided to go ahead. Basically, it gives more information on risk of recurrence, whether chemo would be helpful in lowering risk of recurrence, and also some indication on benefits of hormone therapy. We decided to go ahead and have the test, hoping for more peace of mind in the future. My doctor said I wanted a level under 26. The downside is that radiation could not begin until the results were back, just in case chemo became a topic for discussion. The other downside is that there is only one lab in the United States that runs the test so it was possible the results wouldn't come back until later in January. The test result was really good news. Nevertheless, it was weird walking through these doors on Tuesday morning. I was there for measuring and marking in preparation for radiation treatments. Here is one feeling I wasn't anticipating. So many cancer patients go through horrific treatment--loss of hair, pain, debilitating nausea. With early detection and surgery only requiring lumpectomy and treatment only requiring radiation treatments, sometimes I feel like a cancer "imposter." Does that even make sense? I think about that a lot. It's kind of "why me?" but instead of "why am I going through such pain and suffering?" it's like "how did I get so lucky?" I know I can't predict the future, and radiation will hopefully eradicate any rogue cancer cells roaming around. At this point, I don't feel like surrounding myself with pink ribbons. However...I have a LOT of pink fabric and yet I have never made a single pink quilt. Perhaps now is the time for that. I do think you have a creative style. It doesn't show up in the same way all the time, but many of your quilts on Instagram, your name is the first to come to mind. Gabe is right, we all need to let our imaginations run wild, too many of us get that trained out of us in various ways making it harder to tap into it. Keep your eye on him, he'll keep pointing the way. Your quilts will shine at the show, no matter what style you have! I think it's great to create such variety and not have a definite style.... There are quilts which come up in my IG feed and and I scroll past because I know who made it because they start to all look the same! Designers who are restricted to a certain colour palette start to look 'ho-hum'! Keeping sewing what you love! Well, this is one test you want a low score!! So different from school days...but such a blessing! Just radiation isn't a "just"...you have been blessed with the early detection and lumpectomy with no need for chemo, but radiation is harder on your body than a vacation to the beach!! Love your quilts and I'll be interested to hear how they do in the show! I agree with Susan that often quilts can all start to look alike so embrace your varied style. 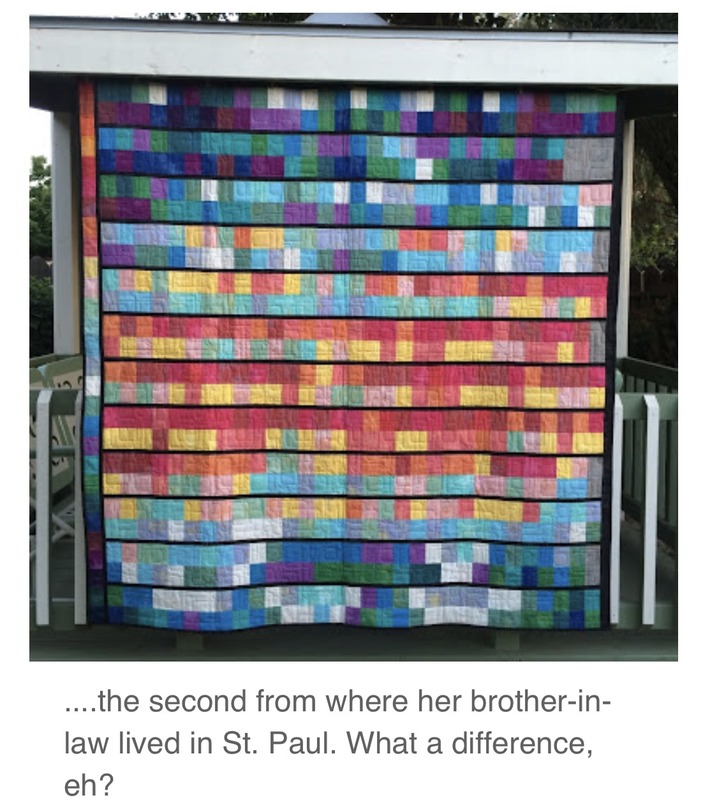 You make beautiful quilts that are loved and used. And a big big WaHoo for your test results. I will hold you in my prayers during your treatments. So thrilled with your test score, Cindy. After the emotional journey you have been on, I would say that you do not deserve the Imposter title. Hope your radiation goes smoothly for you. 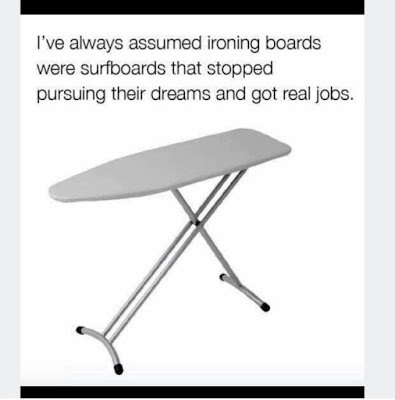 Cindy, I don't know you personally, but I enjoy reading your blog. I too was diagnosed a few years ago with early stage breast cancer (Stage 0), DCIS, and know exactly how you are feeling. I have found that it has helped to be a part of a facebook group of people with a similar diagnosis. We ask questions, give advice, and just support. Wishing you many blessings in your journey ahead!